Toyriffic: Wonder Woman in theaters NOW! Wonder Woman in theaters NOW! I saw Wonder Woman last night and loved it. I really believe that if the WW film franchise carries on (and there's no reason to believe it won't) then Gal Gadot will be the Christopher Reeve of this generation. The whole movie was great, but a stand-out for me was seeing the Golden Age villain Dr. Poison, played by actress Elena Anaya. She didn't have a ton of movie time but every moment with her on screen was mesmerizing. 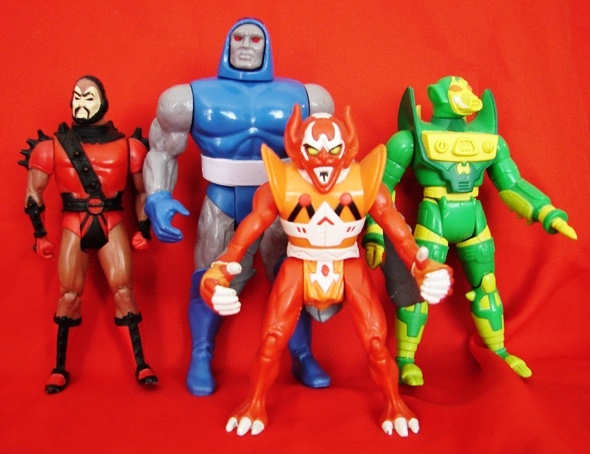 I hope the action figure lines are successful enough to get a second wave so I can get me a Dr. Poison action figure! All the Amazon stuff was great, (I'd watch a whole movie about kid Diana, played by little actress Lilly Aspell), all the WWI stuff was great, it was just a great movie. Go see it! 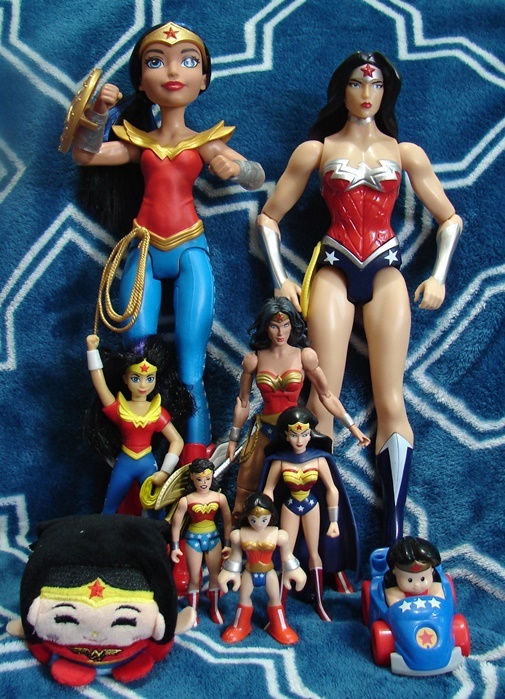 In the meantime, here's a handful of Wonder Woman toys that belong to me and my daughters. Viva la Wonder Woman! I loved the fact that the reveal of her warrior garb was delayed and teased until she stepped out into no-mans land- that whole sequence blew me away. That was such a great sequence. I watched the movie a second time and noticed that when Diana lets her hair down and puts on the tiara, the camera slowly rotates around her. In other words THEY EVEN DID THE WONDER WOMAN COSTUME CHANGE SPIN IN THE MOVIE!!! Imaginext Series 6 Blind Bag Figures Available NOW! :: NOW WITH CODES!